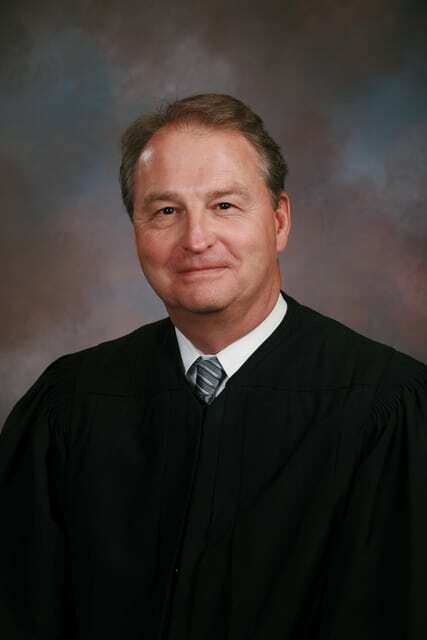 William R. Zimmerman Sr., sitting Common Pleas Probate and Juvenile Judge in Shelby County, Ohio has filed his nominating petition for judge for the Third District Court of Appeals for the March, 2016 Republican primary election. Judge Zimmerman will seek the judgeship currently occupied by Judge Richard Rogers whose term ends next year. The Third District Court of Appeals, located in Lima, is comprised of 17 Ohio counties in Northeast Ohio. Stephen Shaw, Vernon Preston and John Willamowski are the other currently serving judges. Zimmerman, 62, was elected Probate and Juvenile Judge in Shelby County (Sidney) in 2008 and re-elected in 2014. He is a member of the Ohio State Bar Association, the Shelby County Bar Association, the Ohio Association of Probate Judges, the Ohio Association of Juvenile Judges, the National Association of Probate Judges and the National Association of Juvenile and Family Court Judges. He is also admitted to the bar of the United States Supreme Court as well as the United States District Courts, Northern and Southern Districts of Ohio. Zimmerman was appointed in 2012 by Ohio Supreme Court Chief Justice Maureen O’Conner to serve on Task Force on the Funding of Ohio Courts. In 2013, he received the Ohio Innovative Practices Award by the Ohio State Bar Association for his work as a Probate Judge. Judge Zimmerman has been a faculty member with the Ohio Judicial College and Ohio Supreme Court since 2012 as an instructor for newly elected probate and juvenile judges. He has been a frequent lecturer at continuing judicial education programs for Ohio judges and magistrates. Zimmerman received his undergraduate degree from Ohio Northern University in 1975 and his doctorate of law from Ohio Northern in 1979. At ONU, he was a member of the football and baseball teams. Prior to being elected judge, Zimmerman practiced law for nearly 30 years in Lima, Dayton and Sidney. He was the Shelby County Public Defender for over 20 years and a partner in the Sidney Law firm of Zimmerman and Zimmerman prior to being elected judge. Zimmerman has been active in community service in Shelby County for over 30 years and is a member of the Holy Angels Catholic Church (Sidney) where he previously served on the parish and school councils. He also was an assistant football coach at Lehman Catholic High School in Sidney for over 18 years. Zimmerman is married and has four grown children and eight grandchildren. His wife, Debra, is also an Ohio Northern graduate and currently the owner and director of a pre-school, the Acorn Academy, in Sidney.